Hexapod systems combine the ability of adjusted six degrees of freedom with high stability. 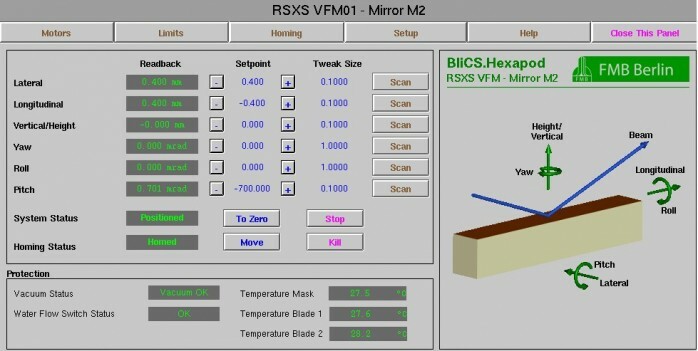 The BLiCS.Hexapod control software interfaces to a motion controller to allow operating a hexapod system through an intuitive graphical user interface. Movements can be carried out by specifying a set point, by tweaking or by scanning.